A decorative decal of a classic yellow Pontiac GTO from the 70s. Full of power! 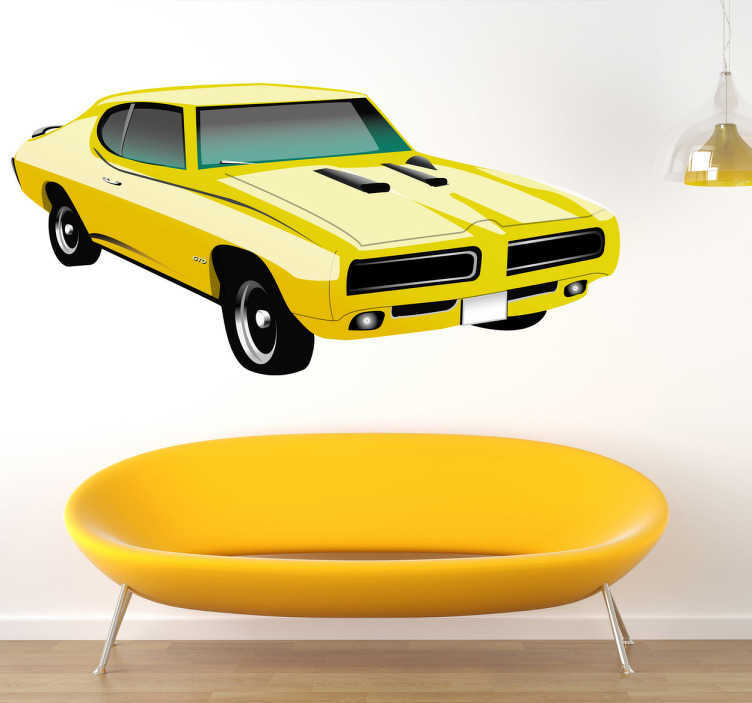 If you love classic cars such as this and would like to decorate your home then you can use this wall sticker and create an atmosphere full of adrenaline!